If you’re new to Street View photography to enhance your Local Search (local SEO) chops, there are some good ways to embrace this and learn while enhancing Google My Business (GMB) profiles. Seriously! If you’ve already mastered this, hopefully this will give you some additional insights. Here are 7 tips to improve your Google My Business (GMB) Street-View and virtual tour (VT) photography skills. Practice, practice, practice. If you’re just starting you need 50 Google published 360° Street View photos. Once you’ve done this, it can take a good month or so to be added to their Street View For Hire page. Here’s the app for you to get started. Keep your clients informed from the start. The more knowledge they have benefits everyone. 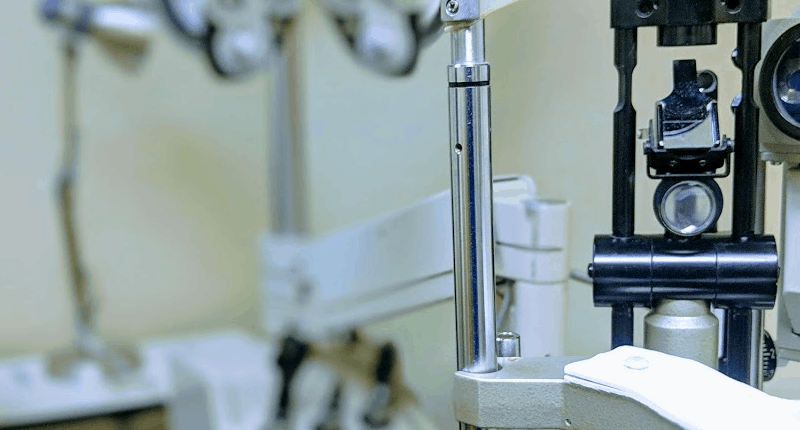 Whether it’s for interior VTs for showcasing navigation inside their location, or external 360° photos to imply directions to them helps them determine their strategy. Remember the sun. This seems obvious, but a bright sun can reduce photo quality no matter what camera you use. I recently had a great exterior view towards the south. It was noon and had to delete the 360° because I couldn’t escape the bright rays. Charge up beforehand. If you’re using a Ricoh Theta V or similar 360° camera, the battery can run low fast if you’re taking a lot of photos… at least in a Minnesota winter. It’s always a good idea to bring a laptop and external charger to charge both your 360° camera and smartphone. This has saved me more than once. Add descriptions to each still photo. The photos themselves can be very compelling, but adding a description can help you tell a story for them, or imply directions and specific entrances to a building. The photo name still comes up as myself, although the important photo credit belongs to ODG. Thoughts? Comment here or let us know via Facebook or Twitter! LocalMN provides Google trusted Street View photography as well as local search consulting and implementation. Contact us to learn more. We’re Now Google Trusted Verified! In addition and to compliment our Google Street View Trusted Photography status, we’re also now a Google Trusted Verifier. This makes your time more valuable by having someone come out to immediately verify your business to GMB, take photos and 360° virtual tours, consult you with Google Posts, GMB Insights. So often, people will set up their GMB correctly and adequately, although don’t take full advantage of this free tool for you DIYers. For agencies, we’re looking to add this to your mix for local search services. We forté in being flexible. If you just need GMB verification, we do this. If you need verification plus setup, photos, 360° Virtual Tours, Google Posts insights, and overall GMB consulting, we also do this, and we do it well. 4-hour consultations for you and your business (at your location) are available for this and is definitely time well spent. From there, you can decide to hire us on a more permanent level or go your own way with the confidence to DIY. Side note: This is proudly available for physical businesses and organizations in Minnesota. Transportation expenses outside of the Minneapolis-St. Paul area TBD. We are Minnesota. Contact us Minnesota, and lets get verified! Skål! https://localmn.com/wp/wp-content/uploads/2017/05/Screenshot-2017-05-02-at-6.30.33-AM.png 0 0 Paul Jahn https://localmn.com/wp/wp-content/uploads/2017/05/Screenshot-2017-05-02-at-6.30.33-AM.png Paul Jahn2018-11-23 01:40:312018-11-26 01:05:16We're Now Google Trusted Verified! Happy New Year and Let’s Make 2018 Inviting! Happy New Year, folks and here’s to your new goals, inviting customers and happy times! It’s a chilly January so far, but there’s a reason we all live here. Even in the Winter, we enjoy the Winter Carnival, skiing/boarding anywhere from Theo Wirth to Lutsen, U.S. Pond Hockey Championship or even ice fishing… if that last one is your thing. It’s not just a tagline. It’s what we do! We help make you look awesome. The first part of 2018, we’ll be finishing a small rebrand, or added services as we’ve honed in even more in both experience and expertise. To celebrate, we’ll be offering January discounts for new customers. Just contact us. From web vision to measured web solutions, we have exceptional WordPress design and development, certified advertising credentials and branded social media for you and your company at your door. Really. We’re local. In 2018, your customers are more web savvy than ever. They know when they want to see your fast, beautiful site, your Facebook Page, Twitter presence, ratings and reviews, maps and directions and real photos. This is where we hope to meet you. Do you just need a custom website redesign with usability? Or, do you need local site marketing including local listings, voice search consulting, 360 photos, and even virtual tours? If you’re local, we could be a perfect match. Contact us and be inviting, be swift, be mobile. https://localmn.com/wp/wp-content/uploads/2018/01/Screenshot-2018-01-01-at-3.37.07-AM.png 528 1144 Paul Jahn https://localmn.com/wp/wp-content/uploads/2017/05/Screenshot-2017-05-02-at-6.30.33-AM.png Paul Jahn2018-01-01 06:45:232018-01-20 15:48:38Happy New Year and Let's Make 2018 Inviting! The Twin Cities, some people call it, as well as “The Cities” to Minnesotans out of the metro area. Mill City, City of Lakes in Minneapolis, and Hockeytown in St. Paul are others. Each nickname holds its own merit, we’ll visit some of these in this piece as well as numerous other places to enjoy during your stay in Minneapolis/St. Paul. There are just so many local places to see with a story to tell and many of them are free or low cost. You’ll most likely fly into the MSP International Airport. Fly into Terminal 2. Sun Country, our “hometown” airline flies in and out of there, and it’s a much smaller terminal so the lines are shorter resulting in less time spent at the airport. There are different options for leaving the airport including shuttles, car rentals, car-sharing companies like Uber or Lyft, buses that leave Terminal 1 or a favorite, Light Rail Transit (LRT). For convenience, the Light Rail is free of charge between the 2 terminals and they run as often as every 10 minutes. 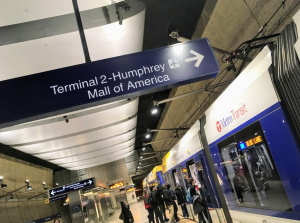 The Light Rail is also the easiest option to get to both downtown Minneapolis and St. Paul, although there’s no direct line to St. Paul and it will take longer. As in 90 minutes. Then, it’s all the better as you can often connect to wi-fi signals while riding. Either way, you can take the Blue Line all the way to Downtown Minneapolis or switch trains at the U.S. Bank Stadium station to catch the Green Line into St. Paul. In Minneapolis, Mill City is an unofficial district nestled against the Mississippi River. While there, consider taking in your favorite ice cream treat at the local Izzy’s and a walk up or down West River Parkway. The lights are pretty, the people are engaging and the bridges are a work of art. The Parkway area is an urban planner’s dream. A street with a slow speed limit, separate walking plus biking paths, public art and precise landscaping make this both beautiful and functional. When walking around this neighborhood, it’s hard not to say hello, engage in short conversation or wave. It’s a Minnesota thing to do. And of course my new friend wanted to give me a smile and peace sign. You’ll find captivating streets throughout the whole Twin Cities area, perhaps none more present than one you can’t drive on. “The Nicollet” up until November 2017 was called Nicollet Mall. After a 3-year reconstruction project and rebranding exercise, the city changed the name. It’s beautiful, modern and worth the walk up and down to have food and drink, shop, or see areas of interest. Toward the South end of The Nicollet lies The Dakota Jazz Club and Restaurant. 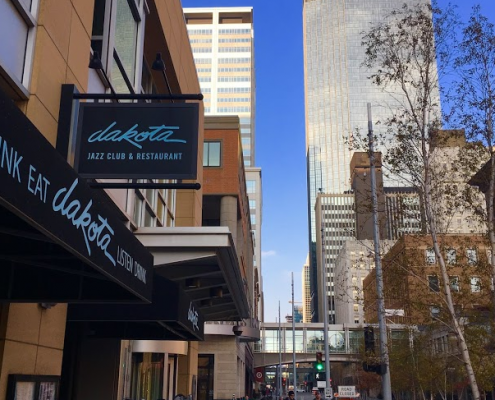 The Dakota has been a really well-known and respected fine dining and jazz club since 1985. It’s somewhat of a secret to even locals, but Prince used to sneak in a back door and move around at his own free will and just enjoy the music on stage. The nearby Minnesota Orchestra speaks for itself. Take in a show! They have performances all year around (opens PDF) and are world-renowned. It’s a can’t-miss and is located on 11th and Nicollet. Take a selfie with the Mary Tyler Moore statue on 7th and Nicollet. Yep, even the locals do it. It’s back at its prime location. 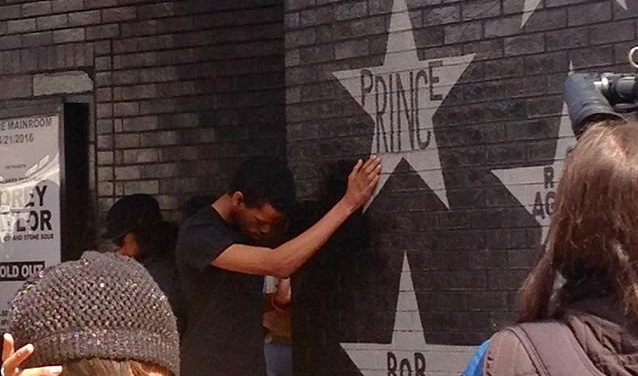 A must is to head off The Nicollet a couple blocks to First Avenue and see Prince’s star. He’s a local hero, put Minneapolis on the map musically, and the set and settings of the movie Purple Rain was at this venue. It’s humbling to look at his star and just think. Think as if nothing around matters. Just think. Outside downtown is the temporary home of Minnesota United at TCF Bank Stadium. The soccer there is contagious and the fans are excited with their European-style flag waving and chants. Dangerous Man Brewing Company – A craft brewery in a customary neighborhood is a total Minnesotan thing to have. Their story is compelling and their beards are out to get you. Northeast Social – Continental cuisine and exceptional mixologists. Tip: Have the mixologist create something with dill aquavit. It’s a Scandinavian and Minnesotan treat and your palate will leave happy. 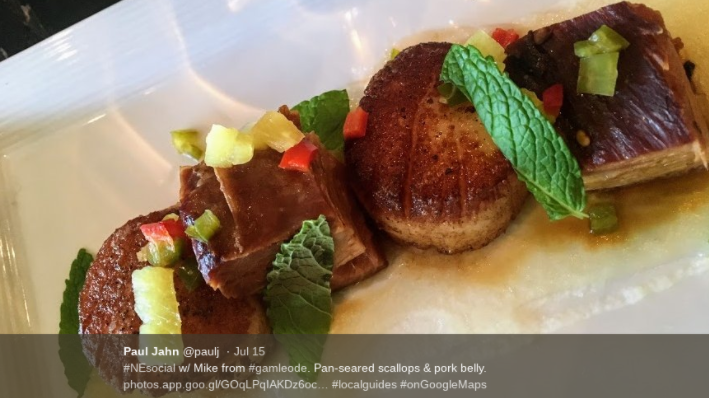 Last July, I couldn’t help but head to Twitter to mention a delicious scallops appetizer. Bunny’s Bar & Grill NE – Nestled by the Mississippi River, it’s a newer sports bar. Tip: The Walleye Fingers is a total Minnesotan thing to try. While you’re there, take a few steps to Sheridan Memorial park, take a selfie by the metal orb and share for social proof. The park itself is on a trail with great neighborhood views of the Mississippi. Gumball Boutique – A hidden gem, Gumball is a cozy consignment shop with locally-made everything. Across the river sits St. Paul, a trip worthy all in its own. After all, it is called the most livable city in America. If you go to the Cathedral Hill neighborhood and take a James.J. Hill House tour, you’ll know more area history than many locals. The family were railroad pioneers, or “empire builders”, responsible for the majority of railroad that went out to the West coast. A couple fun facts are that the Hill family were very similar to the Rockefellers with one exception. The Hill family didn’t put their name on stuff. The second? The house is built on the top of Cathedral Hill. Guests would enter in the front, and leave in the back which is twice as large looking down the hill to leave guests with one, lasting, prestigious memory. While on the hill, walk down Summit Ave. You’ll pass the Governor’s mansion as well as hundreds of other homes that are considered Victorian mansions. You’ll see regular folks working on their lawn or shoveling their driveway in the winter. Give ‘em a friendly wave and they’ll always wave back. It’s just a Minnesota thing to do. We joke about being called “Minnesota Nice”, but it’s true. We are. People here are born with skates on, and of course there is the Wild. In addition to professional hockey games, they do have organized scrimmages for adults. There’s not much better of a feeling than playing hockey on that big sheet of ice, albeit in front of about 12 fans making up of spouses and children. Now, think hockey meets obstacle course meets skiing and you have Crashed Ice. They have a professional course every year that starts on Cathedral Hill and ends down the hill towards downtown. Literally the best in the world qualify to compete in this event with over 100,000 celebrated fans in attendance lining the course. It’s exciting, thrilling and admittedly impossible to get home as everyone leaves at once. Here’s what it looked like a week before the event after a rainfall. Yep, the temp did drop in time. Go to St. Thomas and catch a Div. III football game at O’Shaughnessy Stadium in the perfect environment and cheer amongst the most loyal of fans. 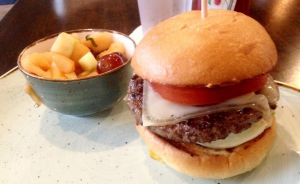 Catch a Juicy Lucy at The Nook. Everything about this place is Minnesotan, including the burger with cheese oozing out from the inside. The Minnesota State Fair. Technically, Falcon Heights. It only happens once a year, but if you’re here during that time, just go. Go and naturally create your own wonderful story to tell. My favorite treat? 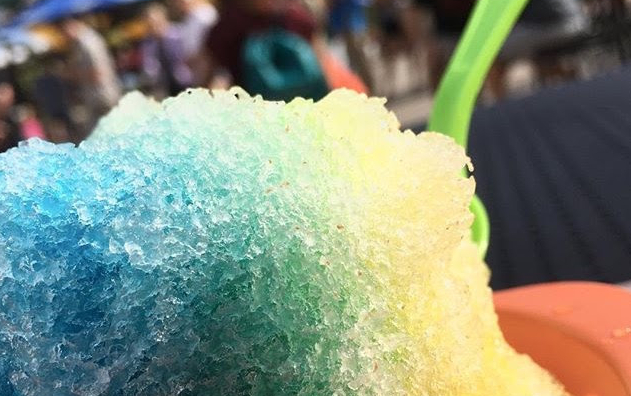 Snowii Shaved Ice. It’s Minnesota-based, and it’s sweaty-hot in August. Take a Nice Ride bicycle. 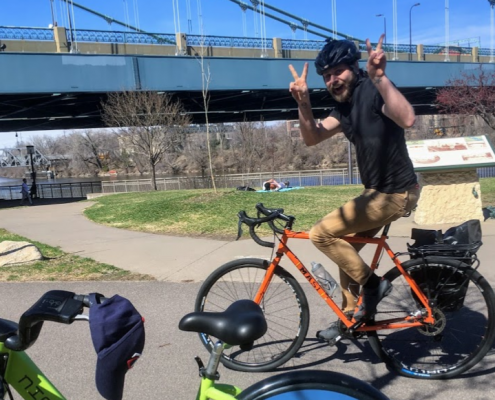 The Twin Cities is one of the most friendly bicycle cities in the U.S. Take a bike for an hour or a day at one of over 200 local stations. Here’s a station full of bikes on St. Anthony Main. Definitely buy a Metro Transit pass or fare and take the Light Rail back and forth to Minneapolis, St. Paul and the airport. While on the trains, check out the public art at each station. If on the Blue Line, hop off at the Cedar/Riverside station and walk across the street to Currie Park. There may just be a good soccer game being played. On your way back to the airport, hop off the Bloomington Central Light Rail stationand take the walkway to Urbana Craeft Kitchen and Market, inside the Hyatt Regency. Ask for Nick the Bartender and have him serve you up a locally-sourced bison burger, house-made chips and a local, craft beer. That’s a perfect end, and you’ll now leave happy. Wave as you leave and thanks from the Twin Cities for sharing your experience with us! There really isn’t anything better than a Minnesota Summer. You do need to get your Google My Business on, although you might as well let that work to your business advantage by sometimes doing as little as enjoying the summer. Before anything, get started with Google Photos with a Google Account or Gmail address. Adding to it and organizing is actually the most time-consuming part, but’s easy to do and in the end you’re find it very, very useful. Now, including these help you enhance your Google Maps to help encourage users. This keeps both you and the user up-to-date by including pretty, summer photos. Summertime = construction season as well. You can keep your customers up-to-date with construction, different directions and transit and even approximate time to get there. Here’s a Tumblr Post to show a few visuals. Common closures right now are 5th St S. and Washington Ave S. in Minneapolis and Jackson Street in St. Paul. Final tip, keep users updated Showing off your Local to Make Your Own Google Posts. Keep on enhancin’ yer Google My Business so you can enjoy the summer! Update 6/9/2017 – Looks like it’s all ready to go. Bring water, sunscream and #hashtug can be used on Facebook, Twitter and more on the event itself. It’s looking slick. Update 6/8/2017 – Minneapolis donations is still ahead by a couple thousand. I live in Minneapolis but have a soft spot for St. Paul. Personally, I may make a game-day decision but haven’t decided yet which city I’m pulling for. They do stress that the best place to watch the event is indeed on the St. Paul side at Hidden Park. This is where the music, food trucks and kids events are taking place as well as how to get your free Metro Transit pass to it (the 46 route may work the best). All of the above info can be found on their events page. Just give it some time to load, folks. It takes a bit, but it will come up. Update 6/7/17 – WCCO continues to update the Fraser event site with information good for the user. Note: Minneapolis has surpassed St. Paul in donations. There’s still plenty of time to catch up, St. Paul. They showed the location on the morning news as well. Such a serene place on both sides of the river. Right in the middle of an urban area. The answer seems simple enough. You just go to WCCO’s subdomain CBS site and navigate it until you find directions, address or anything else that helps you navigate physically to the Fraser Benefit. Only problem is good luck with that (sorry, still love ya’ WCCO). It’s not a WCCO issue as much as news sites in general that are so slow to load partially due to 3rd party ads that users simply give up. Well, here’s some information of how to physically get to the Fraser Event, as well as a few other tasty tidbits such as place to eat near there afterwards. Here’s a customized map for you to view, use, add places and even share. In my experience, the 46th St Transit Station is the easiest starting point as you can bike, walk, bus or light rail or park-n-ride it there. Then, take the 46 Bus east to the old Ford plant parking lot. Either way, then just count your steps with a Fitbit. It’s less than a half mile walk (or free shuttle) to the Hidden Park Fraser Event from there. Tip: The good folks at Metro Transit are offering a free event ride. If you do this on mobile, you can take a screenshot of your ticket instead of printing one, therefore saving a bit of a tree to a place you’re going to that’s full of trees. You can even bring your dog and watch from the Minneapolis side at the Minnehaha Off Leash Dog Park. From experience, parking should be even easier there as long as you don’t mind watching the main Fraser Events across a narrow part of the river. You can donate to either the St. Paul or Minneapolis team the day of race and it may even be part of a decision due to a potential tie. This is a biggie for me. It makes everyone’s voice count. While you’re in the neighborhood, consider taking in a meal (although there will be plenty of food trucks at the Fraser Event). The Highland Park area in itself has plenty of quality choices. One is the Highland Grill. Their side fruit cup is that incredibly-average dumpster-melon made delicious by adding homemade mint to it. Protip: The Highland Grill is part of the Blue Plate Restaurant Company. David Burley is their CEO. On the back of every receipt, David proudly puts his cell phone number on it for feedback. Think of this as Yelp before there was a Yelp, or at least before your current perception of What Yelp is today. They read your feedback and will often engage with you because of it. But, I digress. That’s about it for now. Enjoy the tug-of-war, food, beverage, bands (Heiruspecs will perform at noon). Hope to see you there! Have an opinion on this post? Share it on your own Twitter or Facebook page. Some days it just takes a Sunday Parade to realize the simple things, this one being the Grand Old Day 2017 Parade which was over an hour long. St. Paul is fairly well-known for sidewalk art with one in chalk starting with “At every spot, find a way to spread joy”. Just a good way to end up a week. Have a great and local week, everyone! What should you do? Plenty I suppose! It’s really easy to get around, especially with public transit and bike-sharing. You can even add to the map for others to enjoy. First, a link to the map as well as the map itself. I put just one place for accommodations for each city. I highly recommend setting up at the Radisson Red Minneapolis. Use your phone to book your room, open your door, order a pillow, order just about anything then head down to their OUI Bar & Ktchn and have Sari, #bridgey, Wil and Matt serve you food and beverages. They are four individuals that work perfectly together as one team. Downtown St. Paul is really unique. It’s large enough to pretty much do anything, get around by foot, Green Line Light Rail, bus and Nice Ride bike-sharing. Even in the coldest winter days you can walk around via skyway. The Ft. Snelling/Mendota Bridge area is a hidden gem for trail-walking. Remember to bring hydration for all of you as there aren’t really any convenience stores nearby. As close as it is to city limits, it’s pretty much you, scenery and the wilderness. Familiar with the areas? Add to the map to share with others! We’d love to hear from you.